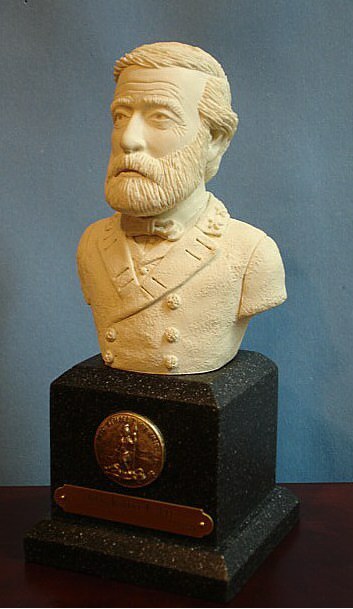 The imposing white marble edition of Randy Groves' sculpture of General Robert E. Lee is one of the most popular in the gallery of "the marble man." 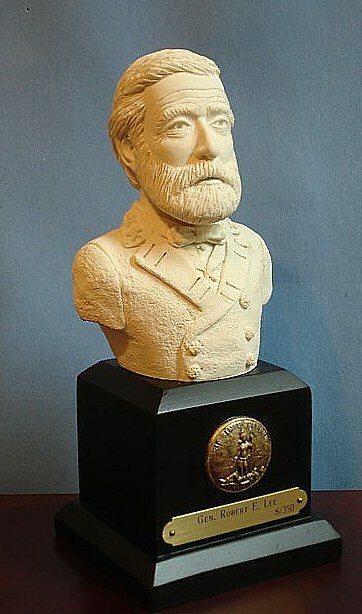 The bust in white marble was first introduced at Gettysburg's History Meets The Arts 2005, attracting much attention. Robert E. Lee entered west point in 1825 at the age of eighteen where he began a career that has never been rivalled. Always at the top of his class, in every class, in four years he did not accumulate a single demerit. 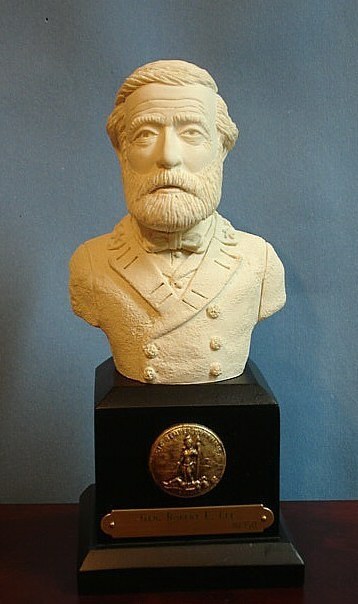 Neither a fault finder nor holier-than-thou he was enormously popular with his fellow cadets who referred to him as "The Marble Man." He served in higher cadet positions each year, and in his fourth term won the highest post West Point knew: Adjutant of the Corps of Cadets.